First of all, I want to thank my ROOMMATE and DEAREST FRIEND, Chinelo Nwangwu, for getting me this book. Thing is, I was supposed to get this book for her, as a birthday gift. But for some reasons I couldn’t get it, I got her a different book. And Thank God I didn’t get it for her, because, when I got to the room, I told her about it, she said she had read it before. Few days after THE BOOK BUYING, I went through a very “emosh” time and CHINELO got me the book, to get my mind of the issue. I’m glad she did. You should see what she wrote inside. I wish you could. Lol. Anyways, back to the book, it was written by UWEM AKPAN. A Rev. Father from Akwa Ibom State, Southern Nigeria. He has his MFA in creative writing from the University of Michigan in 2006. Published in 2008, Say You’re One Of Them, his first book, has won the Commonwealth Writers’ Prize for Best First Book, Africa Region; PEN/Beyond Margins Award and the Hurston/Wright Legacy Award. It was a finalist for the Los Angeles Times Seidenbaum Award for First Fiction and the Dayton Literary Peace Prize. Fr. Uwem was also nominated for the (UK) Guardian First Book Award and for the Caine Prize for African Writing. He is the first Nigerian writer to win the prestigious OPRAH WINFREY BOOKCLUB ENDORSEMENT. This book is a must read. I STRONGLY RECOMMEND IT. It took me to KENYA, ETHIOPIA, NIGERIA, RWANDA and BENIN at the same time. It really portrayed the African Story. It’s actually a compilation of FIVE short stories. The story that got to me more was : LUXURIOUS HEARSES. Setting was Nigeria. It made me understand that no matter how hard we try to pretend, Tribal and Religious sentiment has eaten deep into the nation. In this book, AKPAN’S Africa is a messy violent place… and it’s innocent kids are what pull at our heartstrings. My heartstring. This prose is beautiful. The stories are insightful and revealing. 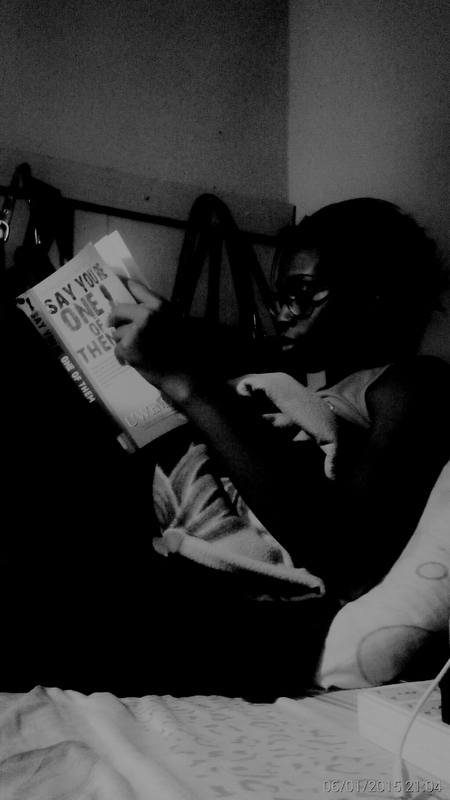 I have been to KENYA, ETHIOPIA, NIGERIA, BENIN, RWANDA aaaaaannd back… To my bed, as I begin another book! And Ohhh…Don’t forget to subscribe to my BOOK CHANNEL ON BBM (C0016FD7F). It’s basically just my Random Bookish Thoughts and I.
Hello! I think your blog is great. The books you review are really interesting and worth reading!